RETAIL : NO 48 & 50 INDIA STREET, KUCHING 93000, SARAWAK. 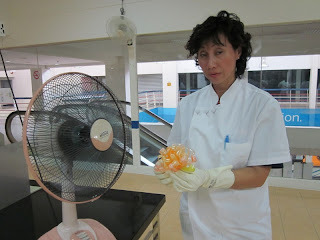 WHOLESALE : 36 & 37, JALAN BATU KITANG, E-PARK LIGHT INDUSTRIAL PARK, 93250 KUCHING, SARAWAK. 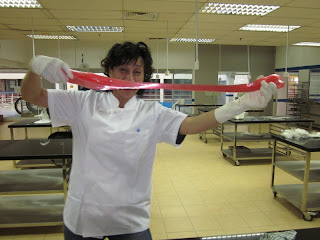 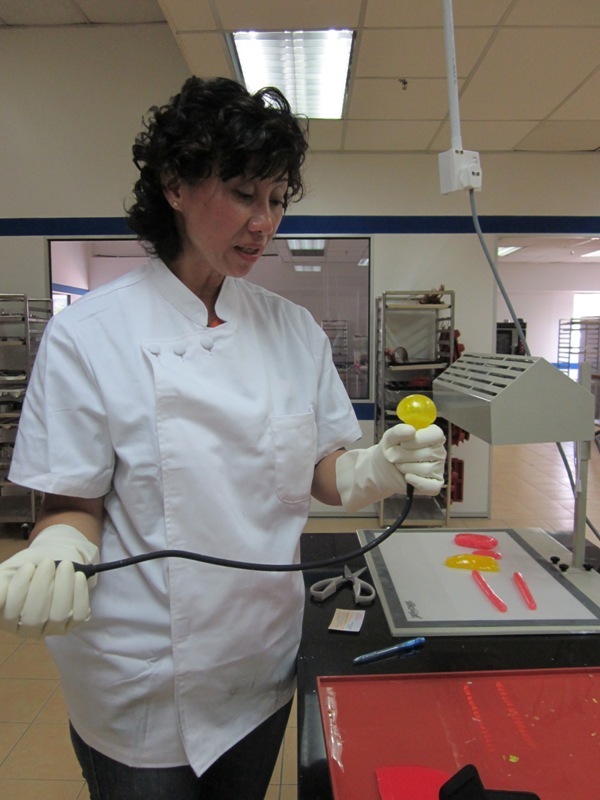 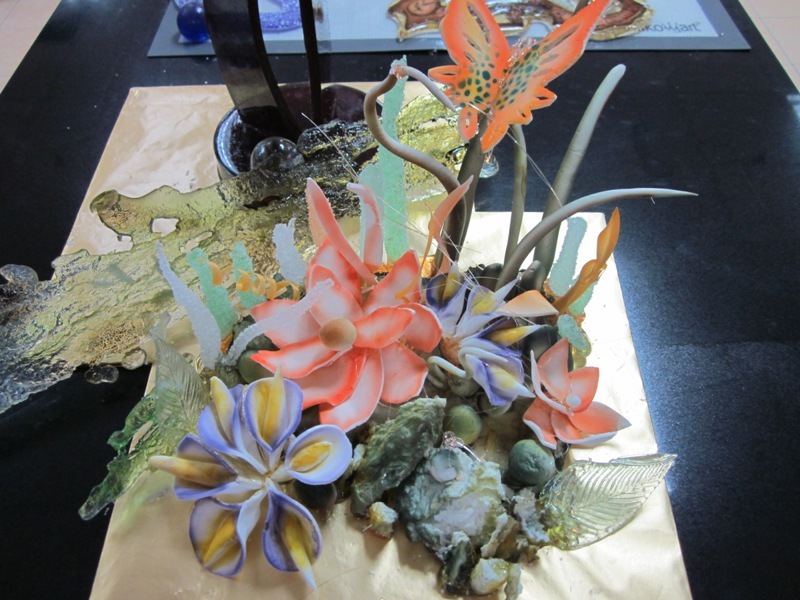 Dextra Ng, our Sales/Bakery Consultant, who is based in Miri, attended a 4-days hands-on course in Sugar Art conducted by Chef Stephane Treand (World Pastry Champion, 2008, USA). 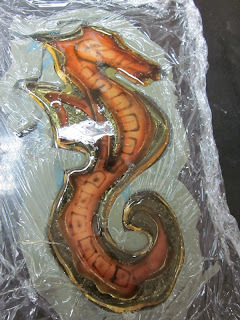 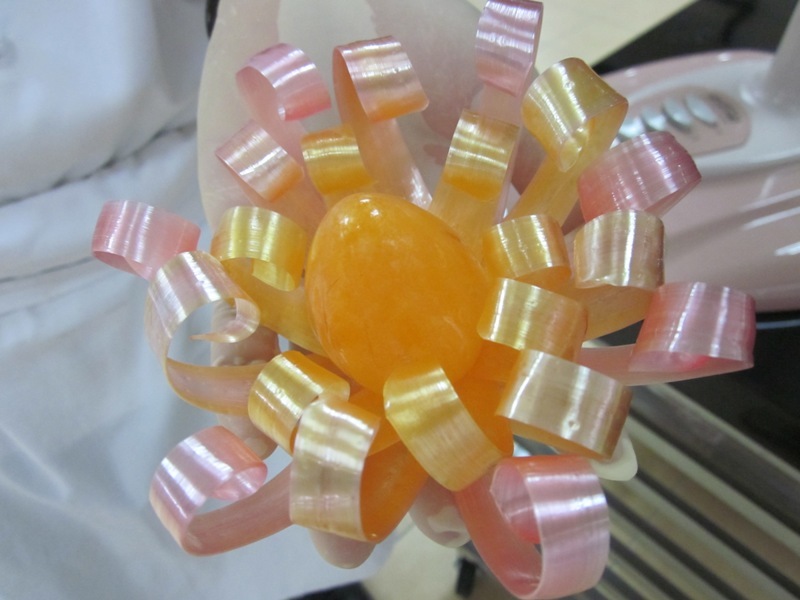 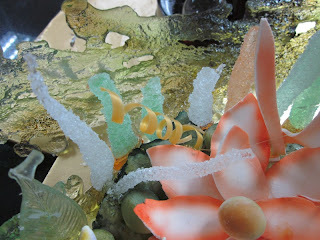 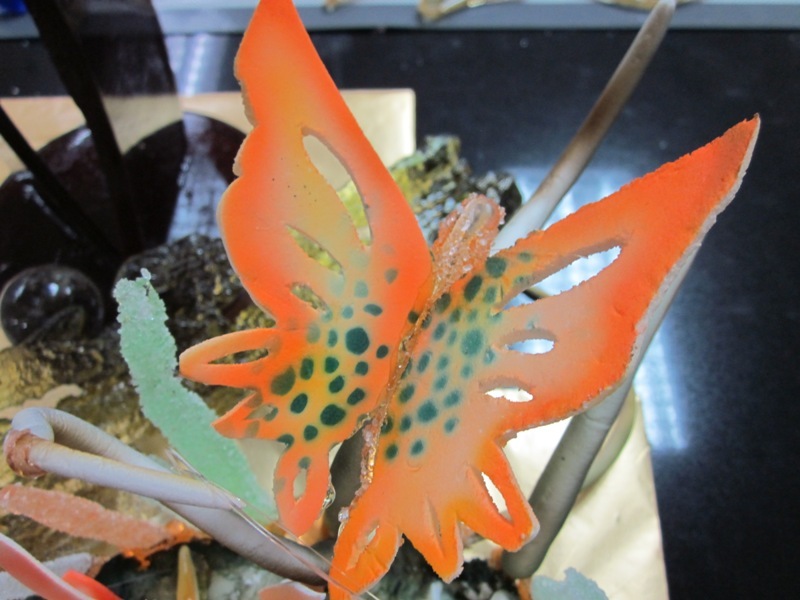 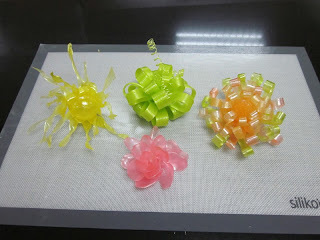 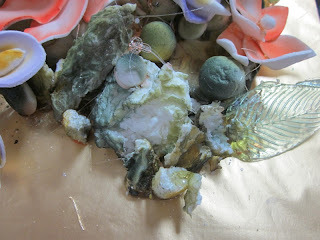 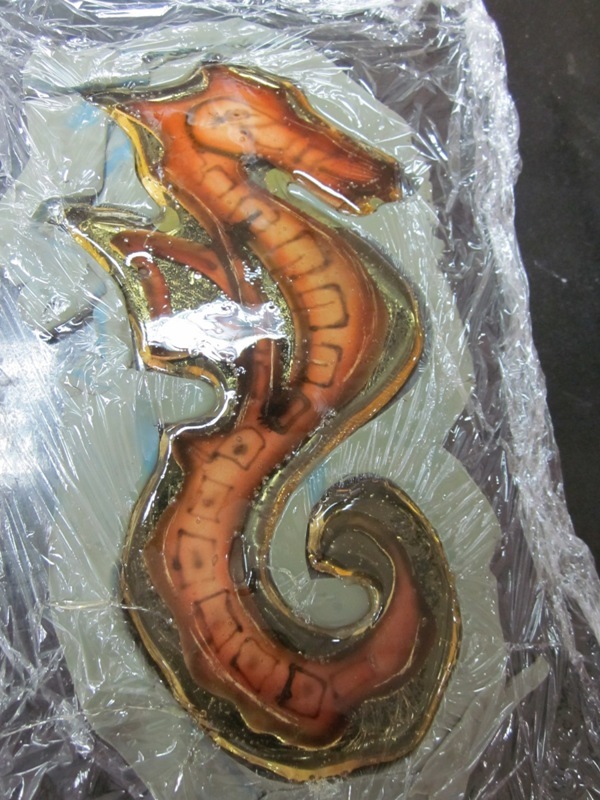 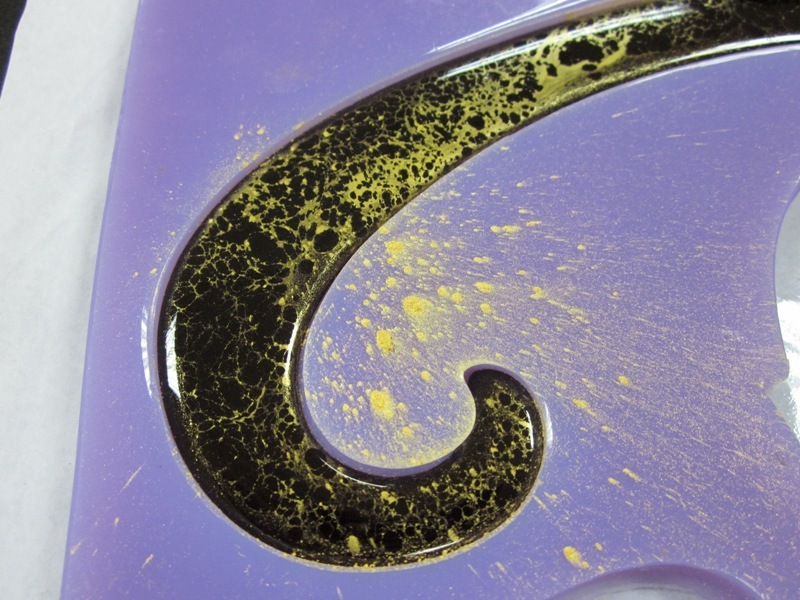 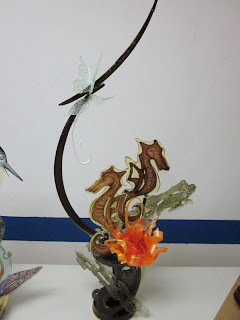 For the sugar art pieces, Ms Dextra used ISOMALT Pearl Sugar and Chefmaster Food Colours. 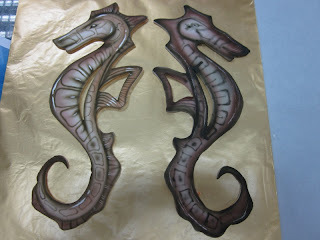 Both products are available from Khin Kueh Khiong. 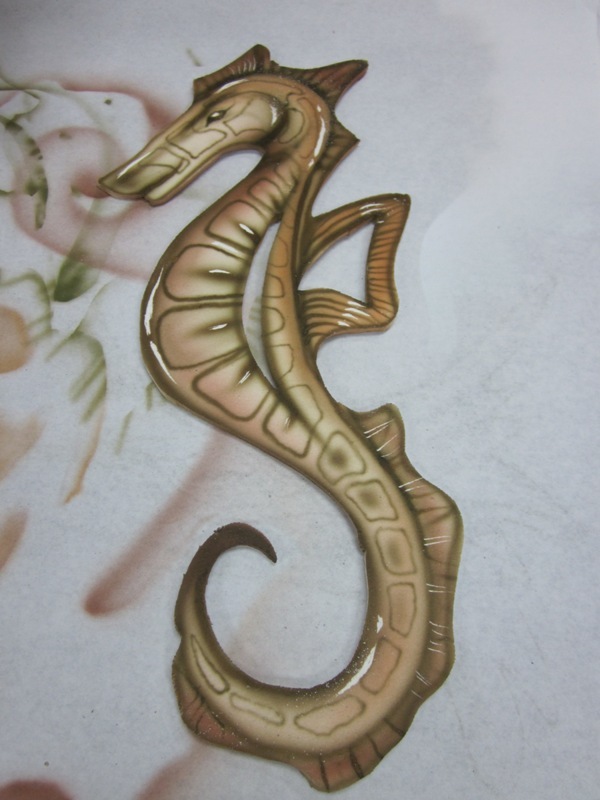 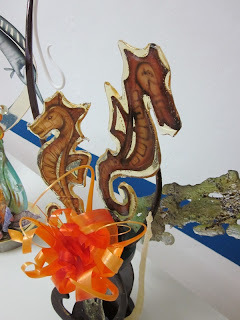 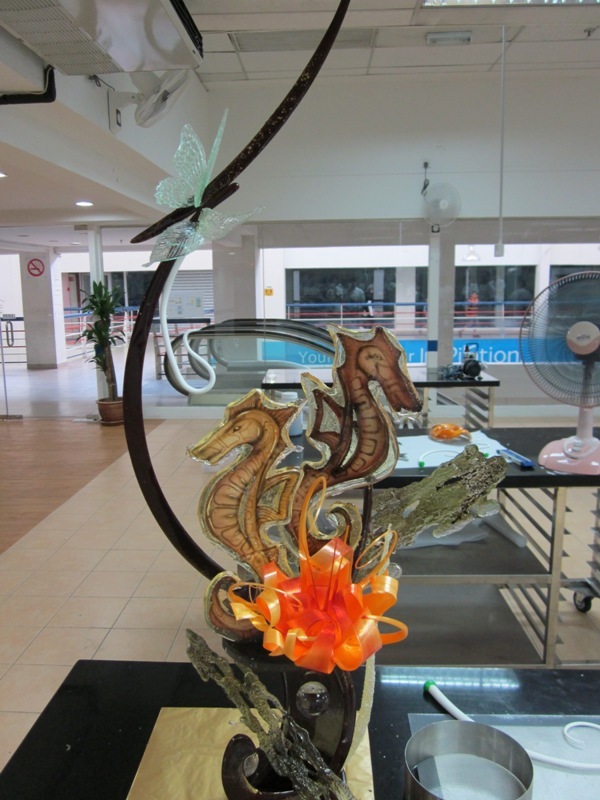 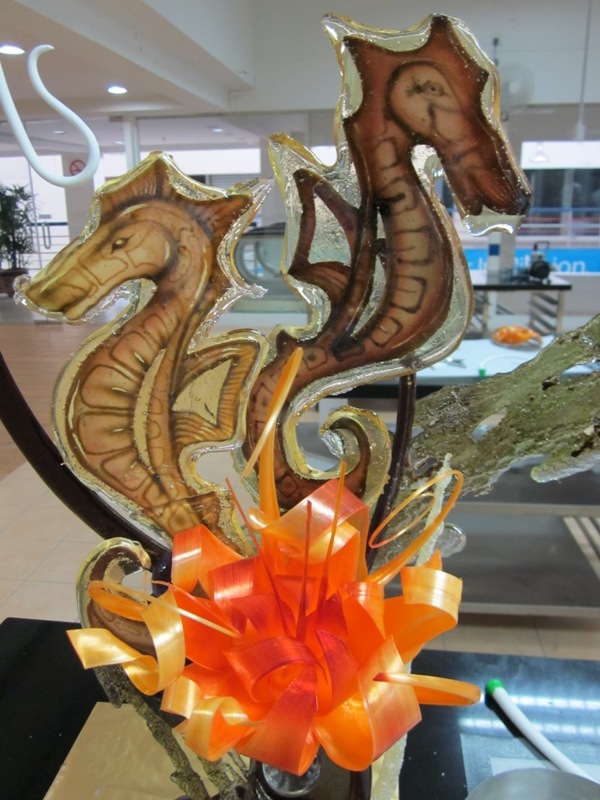 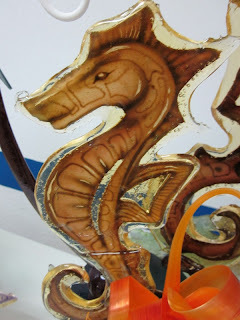 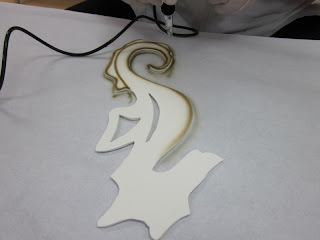 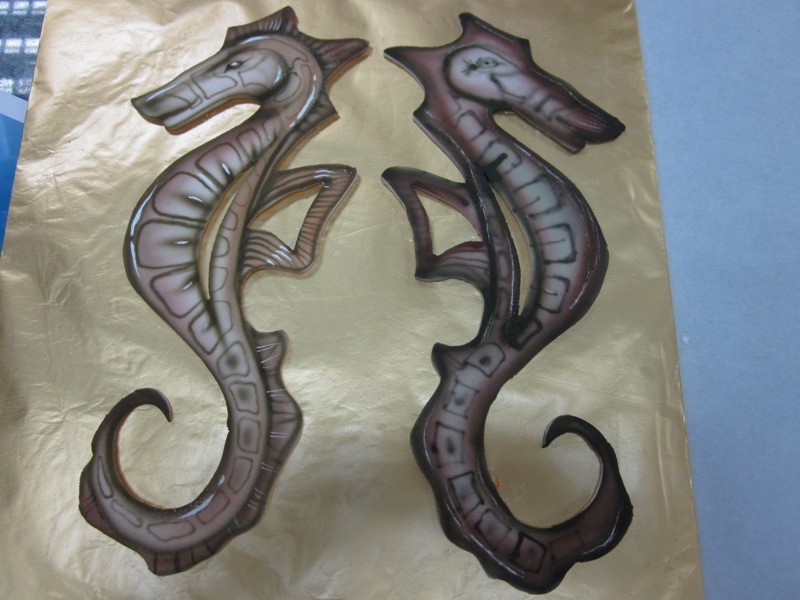 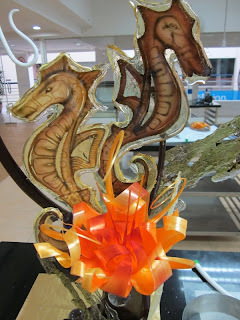 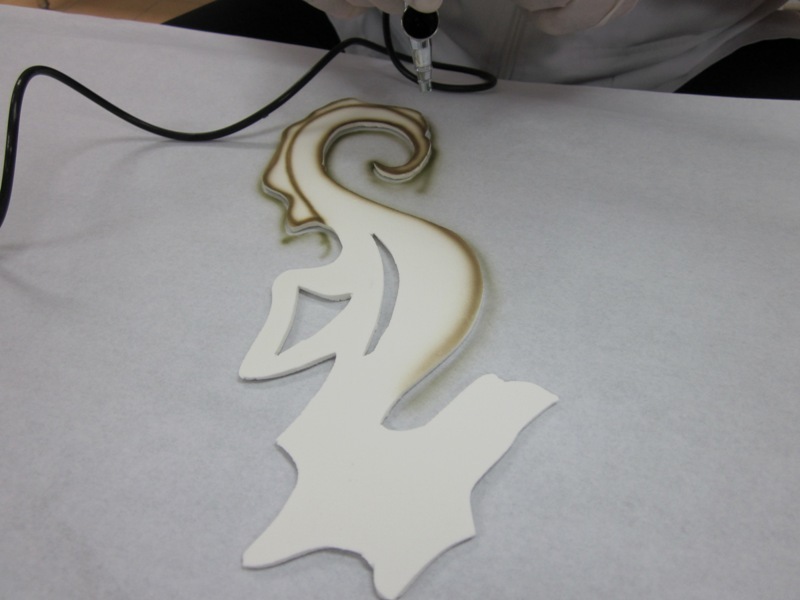 Her final piece during the course ws a sea-horse, which is the city symbol for Miri. All about Baking, Bakery Ingredients and Tools ..... for the latest Updates on Baking Classes, Bakery Products/Ingredients, Tools and Recipes.